Analysing data only makes sense once you have a sizeable amount of it. For sake of simplicity in this post we are only looking at linear movement across different lifecycle stages. Customer lifecycle is a term used to describe the progression of steps a customer goes through when considering, purchasing, using, and maintaining loyalty to a product or service. Why is it important to manage Customer’s Lifecycle? A happy customer will not only purchase more, they will also spread the word for you and bring additional customers. Executing various CLM campaigns and iterating on them to improve their efficacy. 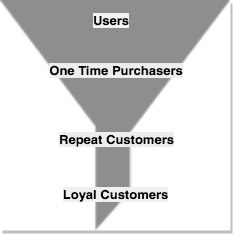 While there’s no standard way to define a customer lifecycle for an e-commerce/transactional business, in my experience I’ve found this flow to do the job well. This basic version of customer lifecycle is useful to get a high level overview and is easy to get started with. 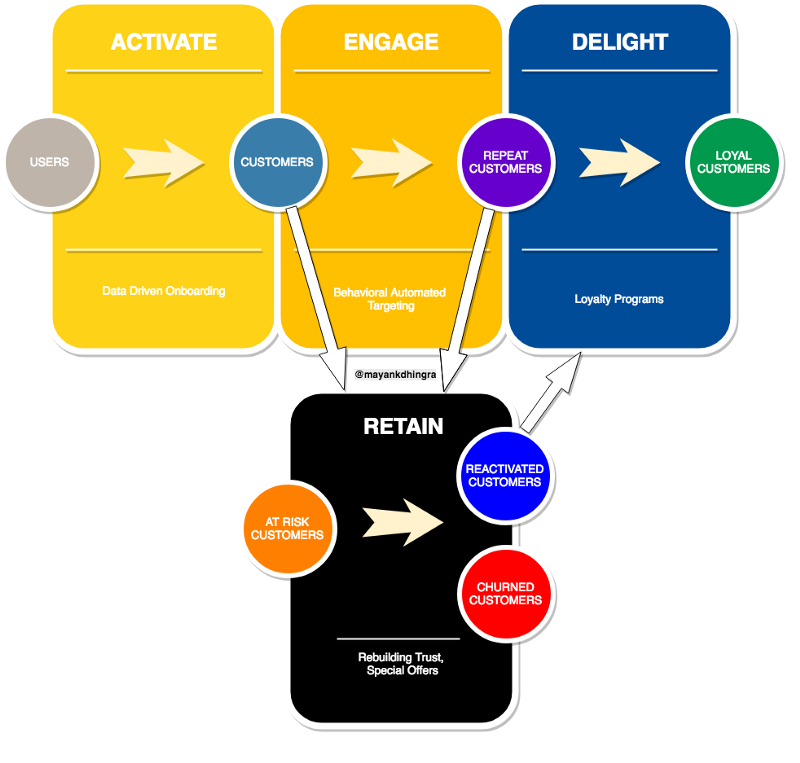 For the mature growth/marketing person, this advanced version of lifecycle will be beneficial. The advanced lifecycle is particularly beneficial for mid to large sized businesses. I find this representation useful because it gives a more in-depth view of what exactly is happening in each lifecycle stage (Pic1). Also, by splitting various lifecycle stages by their purchase activity you get a better sense of how many customers are active, at risk of getting churned and have already churned. Before we jump to the metric, let’s quickly understand what each stage means. Risk Window — Number of days for which if a customer doesn’t purchase they are at risk of churning (X days). Churn Window — Number of days for which if a customer doesn’t purchase they are churned (Y days). 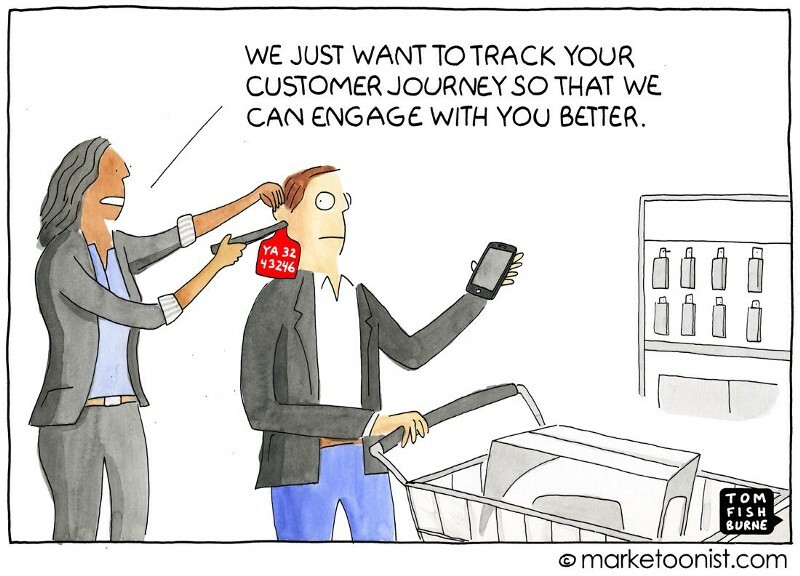 A churned customer is one who hasn’t purchased for long enough that we can consider them to be lost. There isn’t a definite way to define repeat and loyal customers. For sake of simplicity, I’ve defined repeat customer as anyone who has placed more than one order. Similarly, Loyal customers can be defined in multiple ways (orders/revenue etc) but I’ve defined them on the basis of number of orders (Z orders). With the Customer Lifecycle in place, we now have to define our goals and make plans to achieve them. We’ll cover those in the remaining parts of the series. Thanks Navneet Singh & Nitish Varma for reading the drafts. This entry was posted in analytics, e-commerce, marketing and tagged clm, customer lifecycle management, e-commerce, growth, marketing on August 13, 2018 by mayank.